Today I’m talking to Michelle Peris. In this episode, we’re talking woman to woman about being a female in an entrepreneurial role while still having children. Becoming a mompreneur and balancing my business with family life was definitely something I had to wrap my mind around. The first couple of months were really difficult. Going from completely independent to having a child that is completely dependent on you is a huge, overwhelming struggle. It can be difficult to navigate bonding with your baby, while you constantly have your business and work things to think about. To balance my work, my sanity, and my life, I found different ways to relinquish control, and manage both parts of my life. You just have to survive it. You have to survive being a new mother for the first time. You’re going to have to give up certain things and it’s important to be okay with that. You have to realize that you’re not going to be able to do everything the way you planned it. 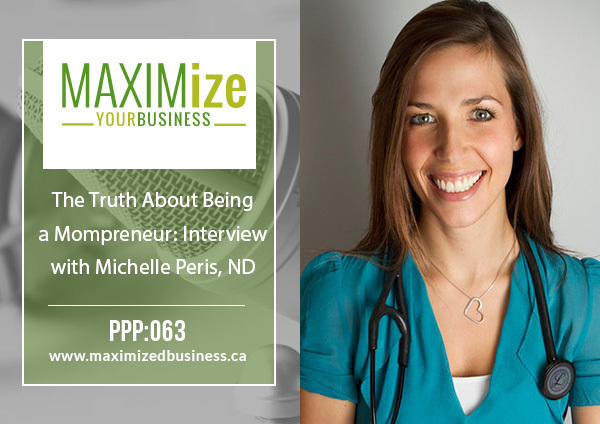 I’ve brought on Michelle Peris to have an open and honest conversation about what it’s like to own and run a successful business while also being a mother. I really encourage these types of conversations to start happening in our community, without shaming. Mothers shouldn’t judge or make one another feel bad about different parenting choices, even if they don’t agree with each other. It’s important to be a little less opinionated, and a little more open minded. Becoming a parent is entering a whole new world that feels scary and judgemental, but a lot of that comes from within. It’s important to take it easy on yourself. Understand what your limitations are. It will be okay regardless of how you decide to raise your family and run your practice. How has your business grown from the beginning? Did you have to fight with the internal guilt of leaving your family and your son to go back to work after your maternity leave? Can you talk about what it’s like to go back to that entrepreneurial focus now that your children are going to school? What are some concerns you hear from other entrepreneurial moms? How she figured out how to grow her business as a new parent. How Michelle found a balance of work and family with the help of her husband. The importance of compartmentalizing your time as a mompreneur.